Real Madird have agreed a deal with Juventus that will see Cristiano Ronaldo join the Italian champions for £105m. Cristiano Ronaldo’s representatives met with the giants of Serie A to thrash out the finer details, Juventus president Andrea Agnelli had early flown in to Kalamata, Greece to seal the deal and he had taken a helicopter to where Cristiano Ronaldo was staying to get the transfer over line. Five-time Ballon d’Or winner spent nine season with Real Madrid, he joined the Spanish side with a then record £80m transfer from Manchester United in 2009, since then he has gone on to become the club’s record scorer with 451 goals. In his time with Real Madrid, Cristiano Ronaldo went on the win two La Liga titles, two Copa del Rey and four Champions Leagues. 33-year-old believes he has achieved all there is to win at Real Madrid and he admitted that he wants a new challenge, he feels that Juventus offers him that. After the winning the Champions League last season beating Liverpool in the final, soon after you could see that he was not fully committing himself to the Bernabeu outfit for next season. 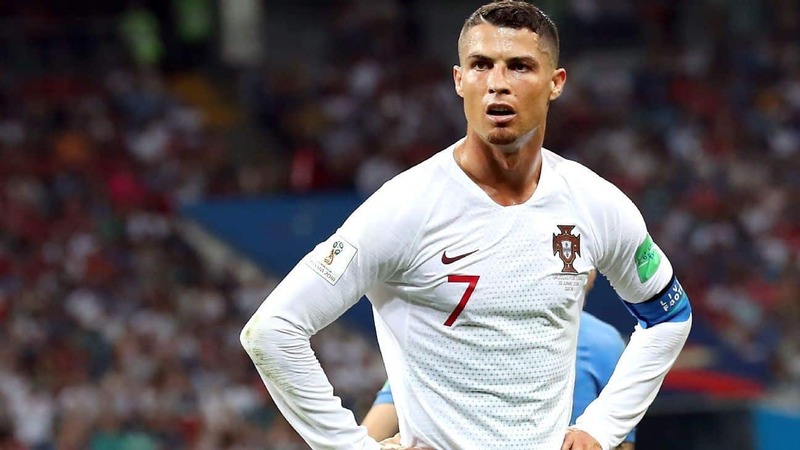 He last played for Portugal in the World Cup this summer but they were eliminated in the last 16 by Uruguay, next season we will now see him in a Juventus shirt in the Serie A next season. On Tuesday afternoon Real Madrid released a statement on their website, it said: “Real Madrid CF communicates that, in response to the will and request expressed by the player Cristiano Ronaldo, he has agreed to transfer to Juventus FC. “He has also become the top scorer in the history of Real Madrid with 451 goals in 438 games. “In total 16 titles, including 4 European Cups, three of them consecutive and four in the last five seasons. On an individual basis, with the Real Madrid jersey he has won four Gold Balls, two The Best, and three Gold Boots, among many other awards. “Real Madrid will always be your home.